the Ministry of the Interior. The mobilization was slightly down in Paris, with 7,000 demonstrators, against 8,000 last Saturday, according to the same source. The count of the authorities is disputed by the demonstrators since the beginning of this social movement launched on November 17th. The "yellow vests" have also done for this act 10 their own count, a first, which should provide figures tomorrow. 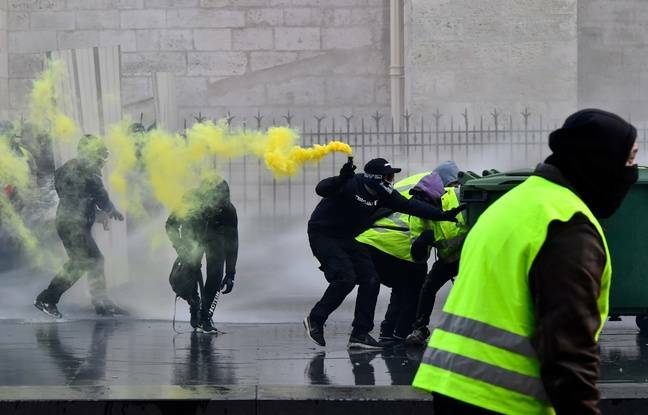 If the participation is therefore less strong in the capital, this is not necessarily the case for other major French cities, including Toulouse, which with 10,000 demonstrators according to the prefecture, makes a "record" since the beginning of "yellow vests".